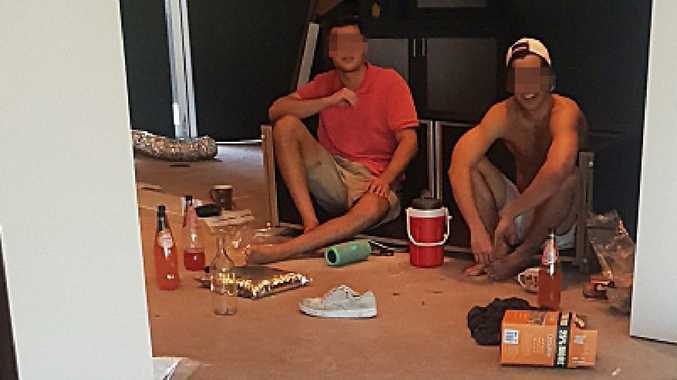 A BUNCH of brazen squatters have been busted living and partying in a $6 million eastern suburbs mansion while the oblivious owners were overseas. 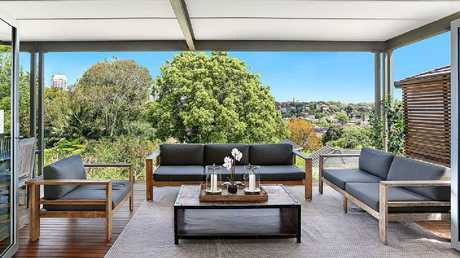 Five men aged in their 20s moved into the luxury Bellevue Hill house with its five bedrooms, three bathrooms, theatrette and pool some time over the past three weeks. 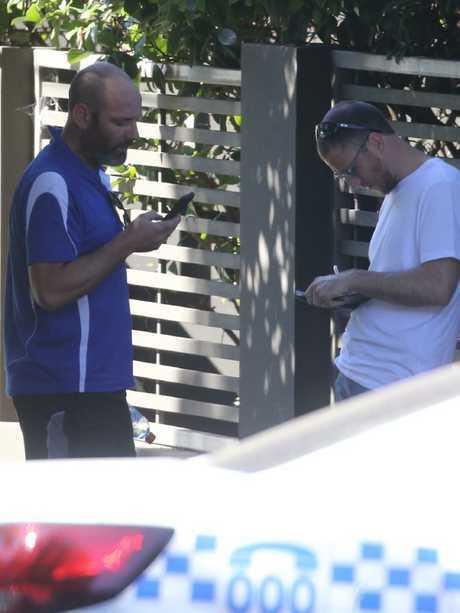 The freeloaders were sprung when plumbers ­arrived at the Streatfield Rd address to do some pre­arranged maintenance work at 9.30am on Tuesday. 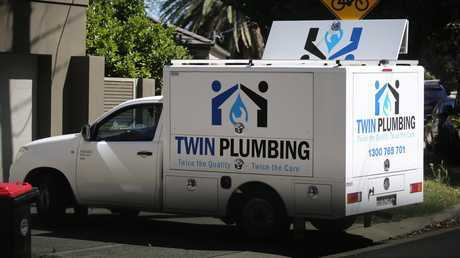 "We had a key and were told the house would be empty,'' said one of the plumbers Ben, of Twin Plumbing, who preferred not to give his surname. "I went in the house and heard voices which put me off a bit and then I looked into a small home entertainment room and saw a bunch of guys just hanging there. Two were asleep and the place stunk,'' he said. One of the youths claimed they were friends of the owners and were looking after the place. But when asked the owners' name they gave the answer Smith, which was the previous ­occupant's surname, and nothing like that of the current owners who were away in Hong Kong. 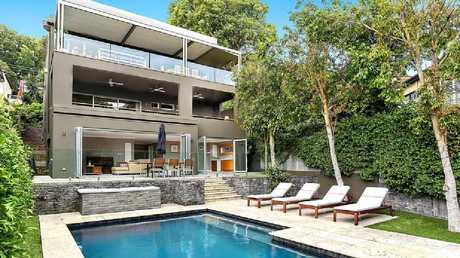 The Bellevue Hill mansion has five bedrooms, three bathrooms, theatrette and a pool is worth $6 million. The men claim they were looking after the home for the owners who were on holidays. "That's when I said 'OK, I'll take your picture and send it to them' - then they all just took off,'' Ben said. "I called the police and we started chasing them but they had too much of a head start,'' he said. 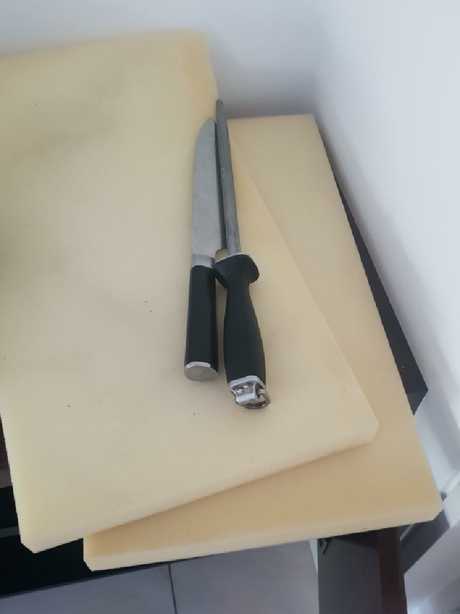 When he went back to the house he saw the group had left behind some knives. The group also left knives behind. The home was left in a mess after the men fled. He said it was obvious the group had been there for some time. "Some of them had been sleeping in the rooms upstairs, there was food everywhere - they had been cooking,'' the plumber said. Police later arrested a 20-year-old man from Vaucluse and charged him with trespassing. He was granted bail to appear at Downing Centre Court on April 12. Across Sydney an estimated 22,400 rental properties are vacant, a rise of 40 per cent in the past year, according to SQM Research. Adding to the oversupply is the number of foreign owned homes sitting empty. At the height of the property boom, an estimated 25 per cent of the city's new housing stock was bought by foreigners, mostly Chinese. Claims many were left unused prompted the federal government to introduce a "ghost tax" for unoccupied property owned by foreigners. This, along with tighter ownership rules and a Beijing crackdown have led to an investor decline. The Foreign Investment Review Board's latest ann­ual report shows there were 1404 investigations into breaches of foreign investment rules last year, involving 400 properties. 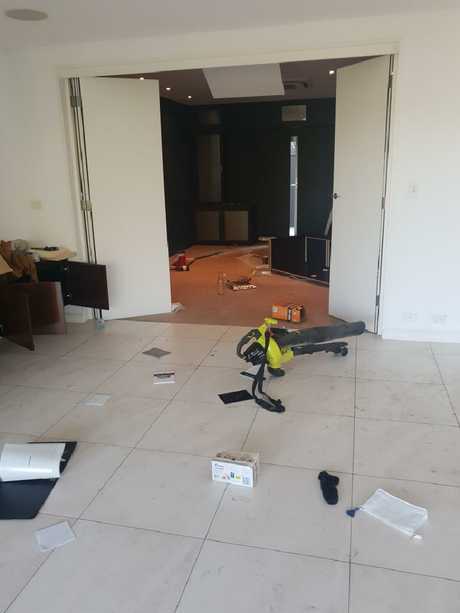 Some involved failing to sell established properties when the owner's temporary resident visa expired and not using property as "a principal place of residence". More than $2.1 million in fines were handed out, up from $1.7 million the year before. In three-quarters of the cases, the foreign person was fined, while 131 cases, or just over 20 per cent, they had to divest the property.